What adds great resale value to your new home? Our new Shoalhaven display homes are officially open! You can now visit our latest Mincove Shoalhaven display homes in South Nowra! The homes were officially opened to the public on December 1st 2018, and are a great opportunity to walk through and get a feel for the floor plan and lifestyle functionality they provide. 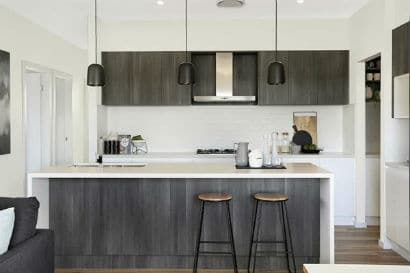 Designed and built with the Shoalhaven lifestyle in mind, the Callala and Milton display homes are a fantastic option for growing families in Nowra. The 4 bedroom Callala display home has plenty of living space, a large master bedroom and an activity room located next to the children’s bedrooms. It’s just perfect for busy Shoalhaven families. In addition to the children’s activity room you will find a home theatre off the living area, and a study nook in the hall. The master bedroom provides plenty of space with a large walk in robe and a substantial ensuite with both a shower and bath. The double garage has direct internal access to the home – which means no more braving the rain to get inside – and the outdoor alfresco area allows easy entertaining in the warmer months. Overall, with it’s open plan living areas, separate functional areas and flowing floor plan, the Callala accommodates the needs of your entire family. The Milton display home has entertaining in mind, with large free-flowing living areas, an outdoor alfresco area and 4 bedrooms that are each located away from the living areas. The large master bedroom features a walk-through wardrobe into the generously sized ensuite, and is positioned at the back of the home – meaning no more street noise! The theatre room, living, dining and kitchen areas are all connected and are located at the front of the home, making the Milton floor plan a true entertainer’s heaven. The addition of the alfresco area off the living space rounds off what is a truly functional home. Like the Callala, the Milton home has a double garage with internal access, and plenty of easily accessible storage space. The Callala and Milton display homes have been architecturally designed with the Shoalhaven lifestyle firmly in mind. You can visit the new display homes at 107 and 109 Quinns Lane South Nowra every Thursday to Monday, from 10am to 5pm. If you can’t make the trip just yet but want to have a look, check out the virtual tours on our website below.